There was recently a Hot Air Balloon Festival held near us, so we have been talking about hot air balloons a lot lately. 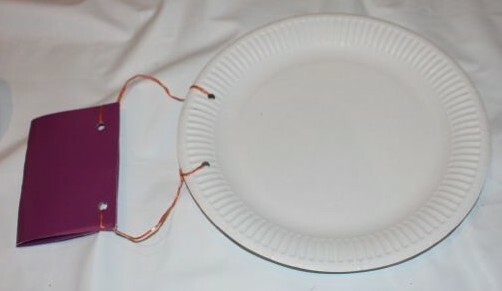 This led to some hot air balloon craft using a paper plate and some cardboard. The basket attached to the balloon. 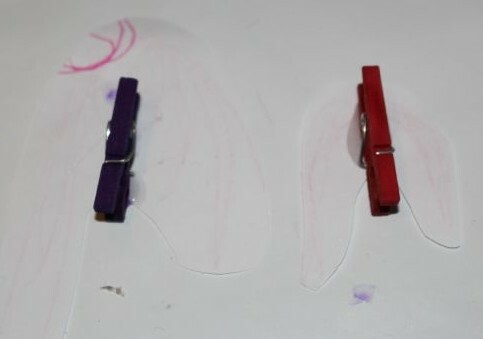 The pegs attached to the passengers. 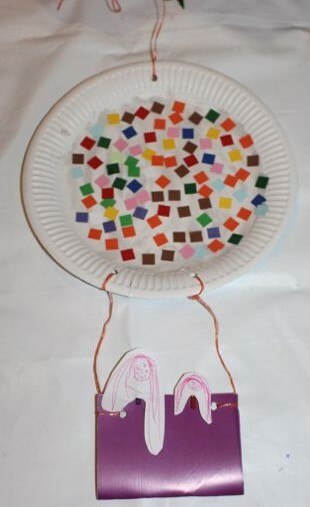 We used a rectangle of cardboard to make the balloon’s basket, and we attached this to the paper plate using string. A drew a picture of herself and one of her friends to be the passengers. I carefully cut around them, and we glued tiny pegs to the backs of these pictures, and left them to dry. 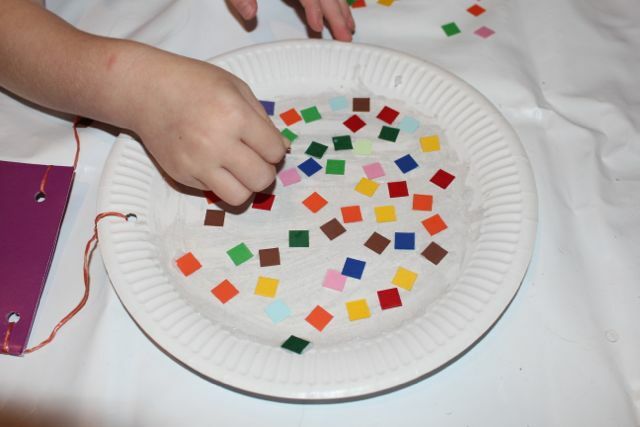 I had a bag of cardboard mosaics, which are little squares of coloured cardboard, great for decorating art and craft projects, or making pictures with. 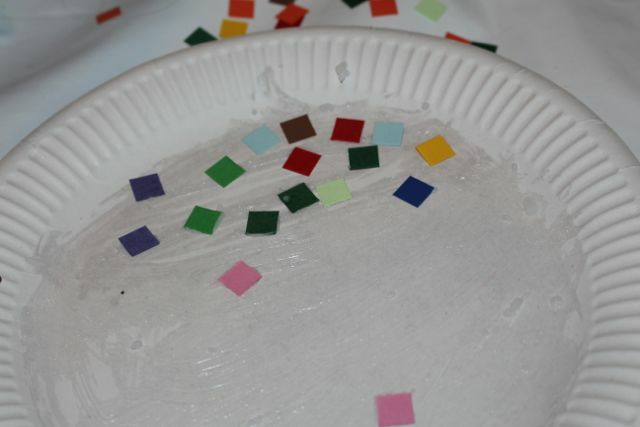 A brushed Clag glue all over the inside of the paper plate, and then she stuck the mosaics squares on randomly. We had to leave this to dry for a while. A used the little pegs on the back of her passengers to attach them to the basket. We hung the balloon in her room and her passengers can go for a ride in the breeze from the window.